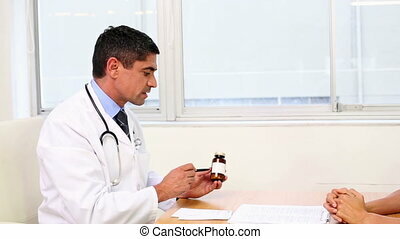 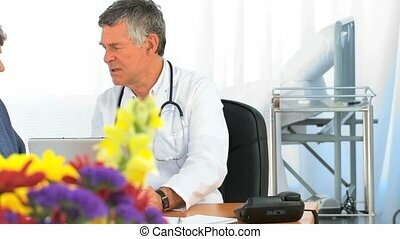 Doctor speaking with his sick patient at desk in the office at the hospital. 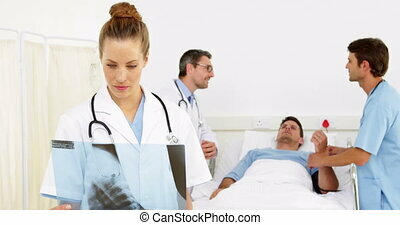 X-ray examination. 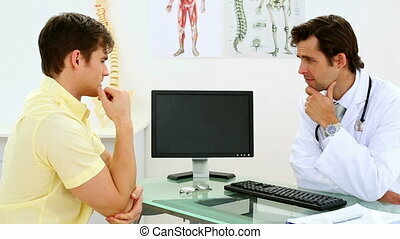 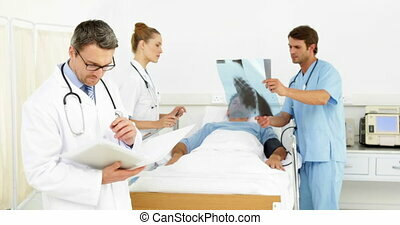 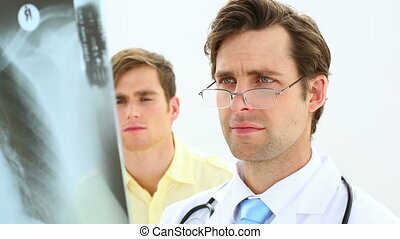 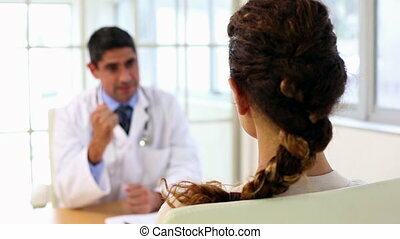 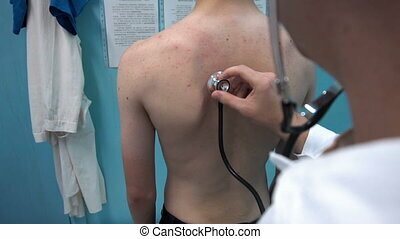 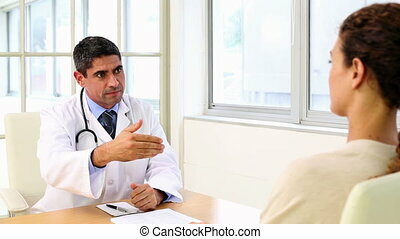 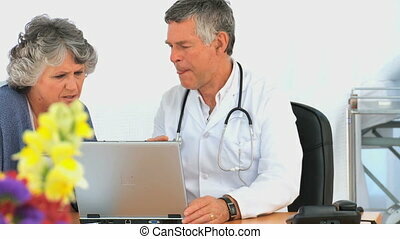 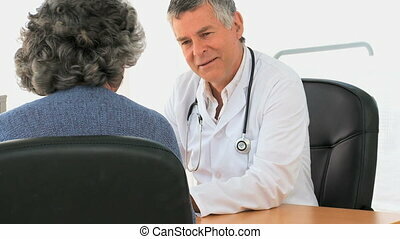 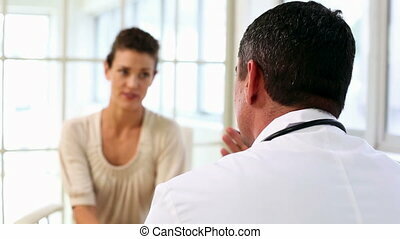 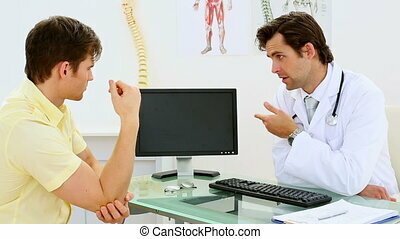 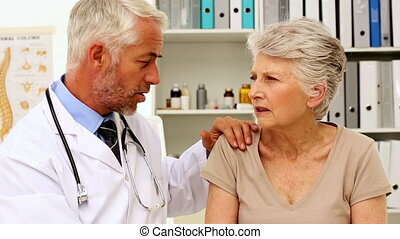 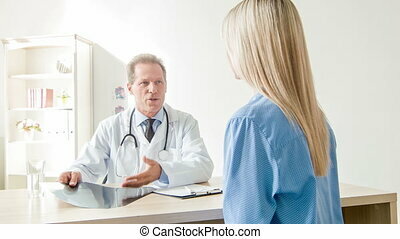 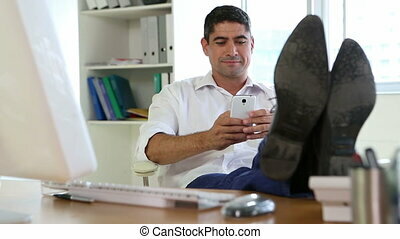 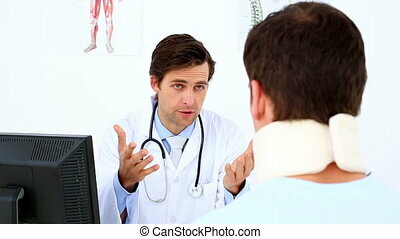 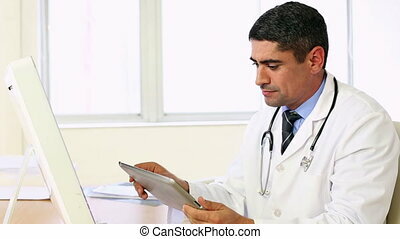 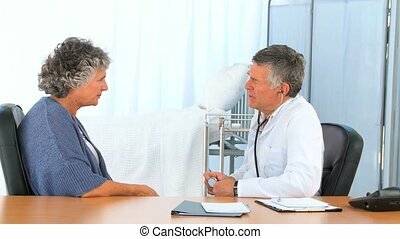 Doctor is accurately discussing x-ray examination results with his client. 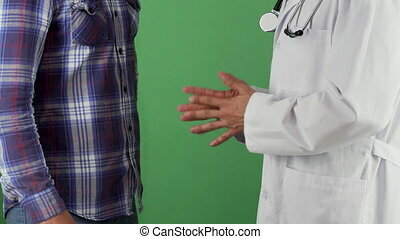 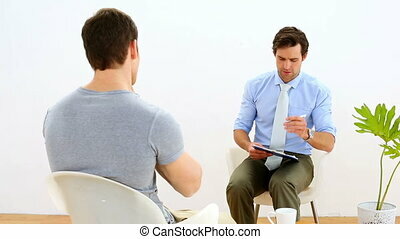 Cropped shot of a man shaking hands with his therapist on green chromakey background. 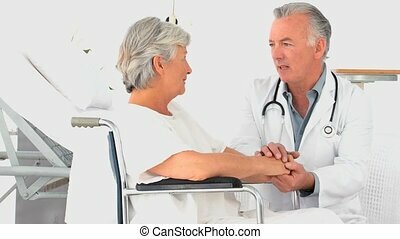 Male doctor shaking hands with his patient after successful recovery. 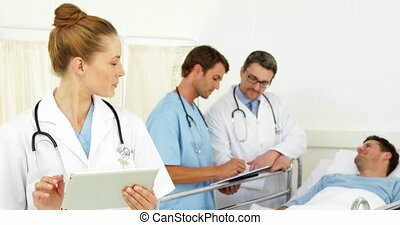 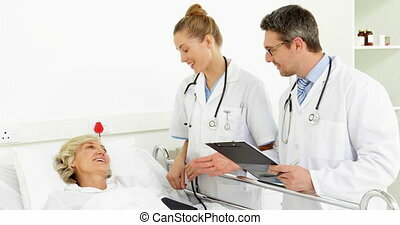 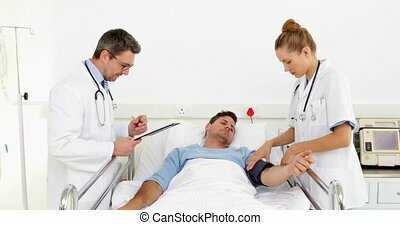 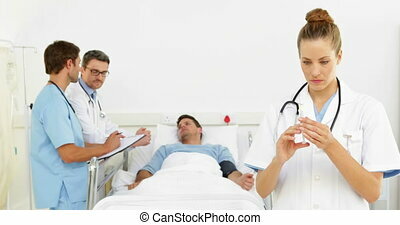 Healthcare service. 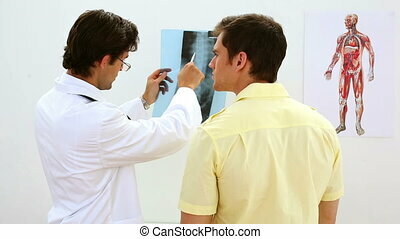 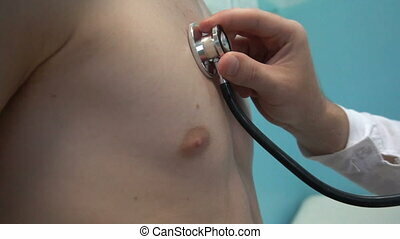 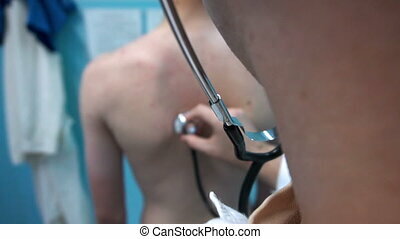 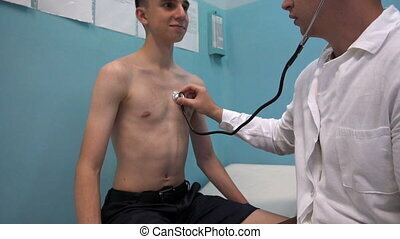 The doctor listening patient lung with stethoscope.